The Spry™ guest chair from Safco features a generously proportioned seat with contoured sculpted foam to minimize pressure points for more comfortable seating. Easily add space to your office area for clients or to your home for unexpected guests with the Safco Spry Black Guest Chair. Designed for maximum comfort, this handy chair includes a perforated plastic back to increase circulation, allow airflow and to keep your clients or guests cool. 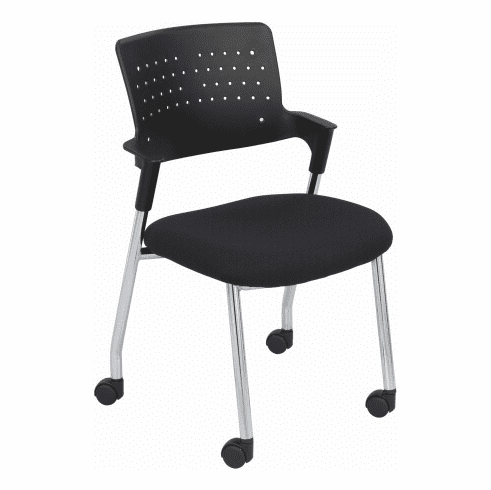 Features a flashy chrome base and a neutral black back rest and seat.